The Media Relations Head and Athlete Manager at PlayRight Consulting Pvt. 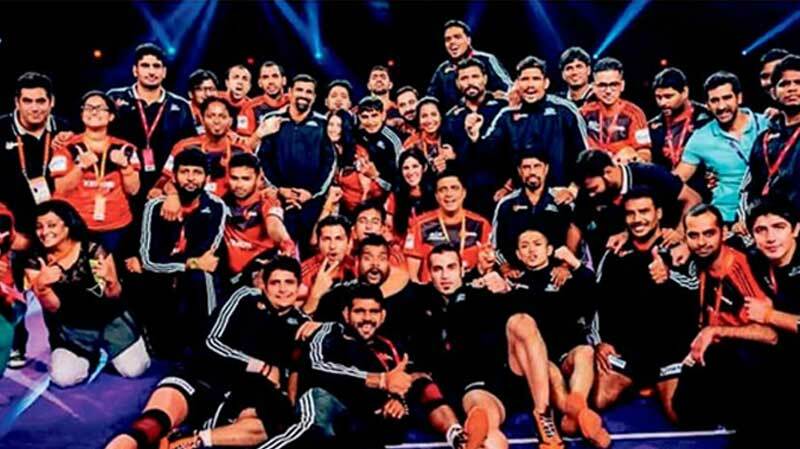 Ltd. hangs out with the likes of Olympic medalist Sakshi Malik, footballer Sunil Chhetri and the U Mumba team as a part of her job! We caught up with the super woman for an exclusive interview on the sidelines of the Pro Kabaddi League, where she is working with the Haryana Steelers. How does the job role of a PR professional in sports differ from that of other verticals? When it comes to sport – you need to be a little more passionate because your audience is mostly made of passionate fans and you need to respect that. Also, there is a dearth of quality content in sport and that’s where you need publicists to come in to channel it in the right direction. What are the challenges involved when working in this field? One of the challenges has been to be a women in a very male dominated field. For the last year or so I have been extensively working in and around Haryana and needless to say it’s been a task. But you need to have a lot of patience to be a publicist because ultimately that’s the only deciding factor when it comes to planning and execution. What are the integral skills that one should have when looking to enter the PR realm of sports? Passion. Apart from that we need to understand it’s not all about the glamour, there are unending hours of desk work behind it. So while Sports PR may have a lot more scope for field work, there is ample amount of desk work as well. The only perk involved is that you get to work during/ watch live sport. Could you describe your experience of working with teams like Bengaluru FC, Haryana Steelers, etc? It’s been an absolute journey. We have been involved with both and most of our clients since their inception and every bit of work we do for them stems out of the love and respect we have for the staff, the players and the management. All the players have become like a family and when you work for family and people who mean that much to you – the result is undoubtedly better. What is the source of job satisfaction that comes your way being in this vertical which is so demanding and fast paced at times? I have been on the road for 2.5 months now and I had packed for only 3 days -while it may sound hectic, when I count the stories I have done against the boarding passes I have, the satisfaction cannot be put into words. I always loved sports but because of certain reasons I could not pursue it as a career and doing what I do takes me closest to that love. I don’t really mind the hours or the travel because the passion for my work surpasses it all. What is the way forward in this industry? In terms of, opportunities of growth or any area that needs more professional requirements, etc?